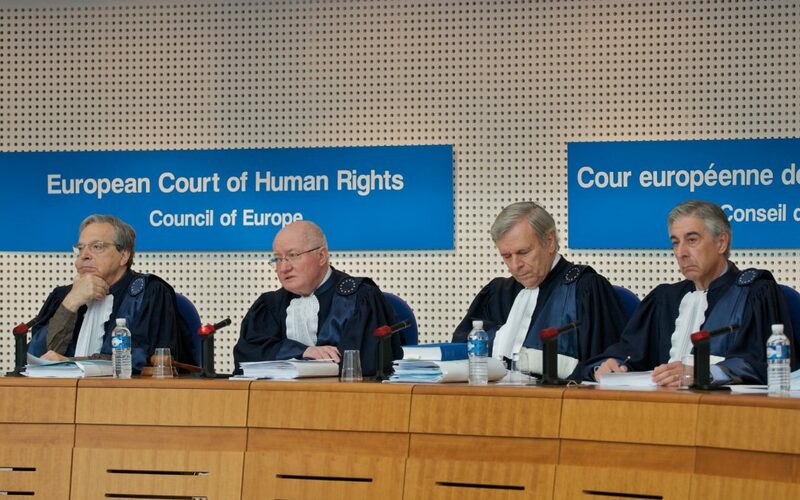 Turkey’s Ministry of Justice has said with the establishment of a state of emergency (OHAL) commission, 12,600 cases currently awaiting review at the European Court of Human Rights (ECtHR) have been dropped by the court, the t24 news website reported on Friday. The OHAL commission, which is expected to start work on July 17, will investigate applications directly related to the issuance of state decrees. The commission will accept complaints regarding dismissal from the civil service, jobs or organizations; dismissal from university and the loss of student status; the closure of associations, organizations, unions, federations, confederations, private health institutions, private education institutions, private institutions of higher education, private radio and TV organizations, newspapers and magazines, news agencies, publication houses and distribution channels; and the loss of retiree ranking. The commission will operate for two years, starting from the date when state decree, No. 685, went into effect. It will be extended on a yearly basis if the Cabinet considers it necessary. Following a failed coup attempt on July 15 of last year, the ruling Justice and Development Party (AKP) government declared emergency rule in Turkey on July 21, 2016, which became effective with a government decree issued on July 23, 2016. The AKP issued a number of government decrees through which thousands of academics, politicians, teachers, doctors, officials, businessmen, artists and journalists have been purged due to their real or alleged connections to the faith-based Gülen movement, which is accused by the government of being behind the failed coup. The ECtHR previously came under fire for rejecting applications concerning post-coup worker purges in Turkey on the grounds that domestic remedies had not been exhausted. DAV Chief Ulrich Schellenberg, who criticized the rejection of applications from Turkey, said there was no working state of law in Turkey and that Turkey could not be compared to other European countries in terms state of law principles. Schellenberg added that the condition of exhausting domestic remedies had to be considered in a different light if one-third of judges and prosecutors were arrested in a short period of time and free advocacy could not be conducted due to oppression in a country. This article originally appeared in Turkish Minute on July 14.